Catherine Forsch of Sioux Falls has been named president of the South Dakota Historical Society Foundation. Forsch succeeds Michael Lewis of Rapid City, who announced his retirement from SDHSF after serving four years as president. He retired as president effective Dec. 31, 2017, at which time the foundation board of directors named Forsch as president. 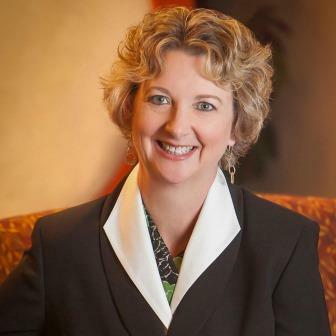 Forsch previously served as enterprise director of Donor Relations at Sanford Health Foundation. She has 20 years of experience in executive planning, administration, communications and marketing, and 10 years of experience in the nonprofit sector. Forsch holds a bachelor of arts degree in journalism/mass communications from South Dakota State University. Forsch visits with members and donors across the state and has an office in Sioux Falls and at the Cultural Heritage Center in Pierre. She can be reached at catherine.forsch@state.sd.us. The South Dakota Historical Society Foundation is a nonprofit organization established in 1982 to receive and administer charitable gifts for the South Dakota State Historical Society for the benefit of educating and preserving South Dakota history. Both the foundation and the South Dakota State Historical Society are headquartered at the Cultural Heritage Center in Pierre. For more information about the foundation, please call 605-773-6006.